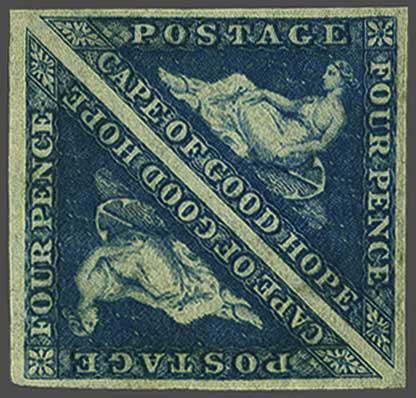 1852/53: Perkins Bacon 4 d. Plate Proof in dull grey-blue on watermarked bleuté paper, a fine pair with large even margins all round, of good colour, without gum. 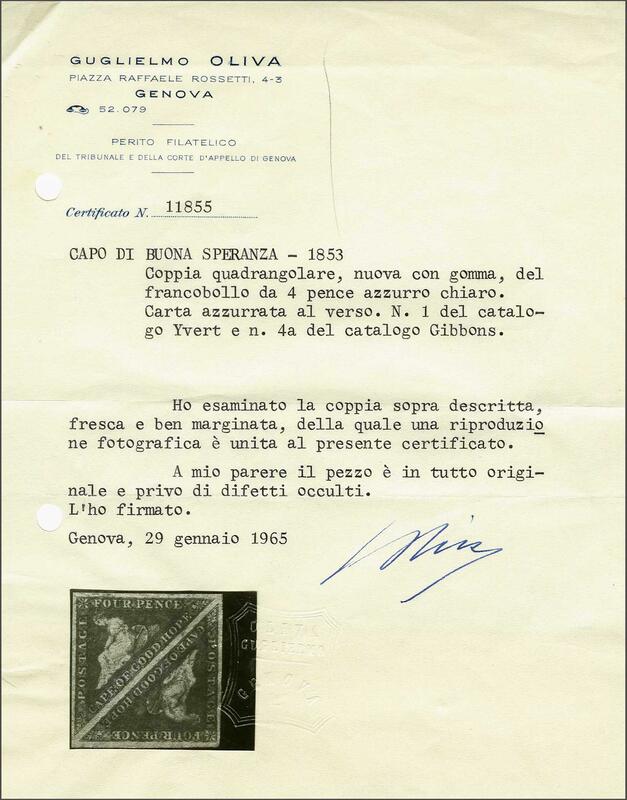 Scarce and appealing Proof pair. Signed Oliva.